"The Spotify app works fine on my Samsung TV for a long time but recently when I go onto it, it just freezes with no sound. Anyone know the reason why and how to solve it?" Spotify is the undisputed kind of streaming music with over 75 millions of active users and 35 millions subscribers. To improve the user experience to compete with other rivals like Apple Music, Spotify also has partnered with Samsung to roll out a new app for newer model of Samsung devices include the smart TVs, mobile devices and so on. This app is well crafted for most devices. But due to the large user base and a great amount of devices, it is impossible to avoid all bugs on the daily use basis. 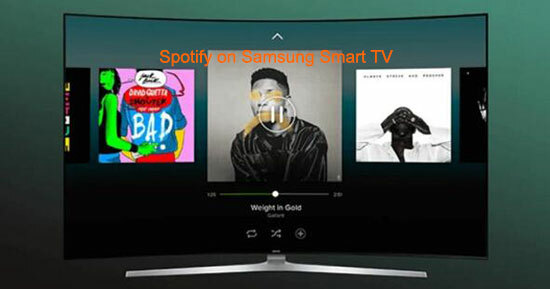 Now	you	can	read on to find out the common problems you may encounter about Spotify app not working on Samsung Smart TV and the solution to solve them. The new app supports on-demand playback for both premium and free listeners as well as optimized support for "Spotify Connect" and "big screen" on TVs. If you use the music app often on your TV, you may still encountered one or several of the problems below. 1. There is no sound on the TV screen. 2. Spotify is not showing up or it is not available on your Samsung TV anymore. 3. The Spotify software freezes there or shows black screen. 4. 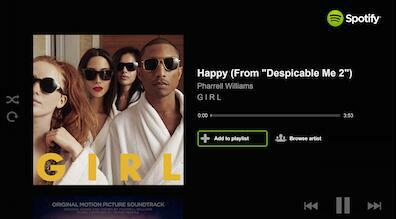 Spotify simply won't load or some error messages pop up. The easiest way to troubleshoot is update. So if you also encounter the same issue that Spotify app doesn't work, you can simply remove the previous version and reinstall the latest one. This should works well for all Samsung Smart TVs after 2015 with the Tizen operating system. 1. Navigate to the Apps panel. 2. Find the Spotify app under "My Apps" and select "Uninstall". 3. On the Samsung Apps Store, search for "Spotify" and click to install it. Besides, you can update your TV's firmware if you are running the 2012~2014 models..
1. Power on your Samsung Smart TV. 2. On its main screen, go to Menu > Support > Software Update. 3. If there is a new version available, please follow the screen instruction to update it. The solution to reinstall Spotify app is not difficult, however, it just doesn't work for some specific models. On most of the cases, the app is not available. Even if it is available, you just can't reinstall or launch it as your Samsung smart TV is too old. For example, on the old devices, it doesn't support free streaming of Spotify. To avoid such kinds of annoyance, one of the best solution is to download and transfer Spotify songs to your Samsung smart TV instead. 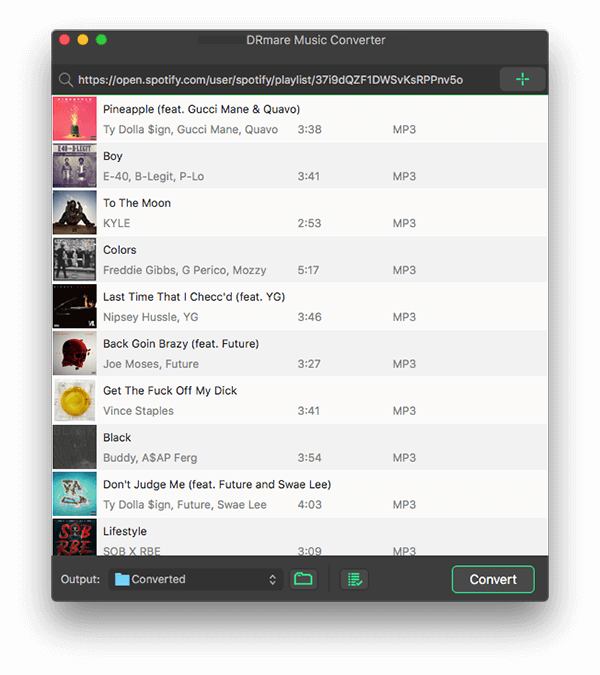 By using a reliable Spotify Converter, it can download the online songs from Spotify account and convert them to Samsung TV compatible format MP3. There are multiple such kinds of software available from Google. 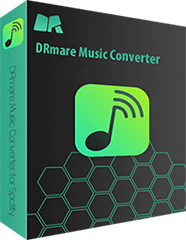 DRmare Windows Music Converter for Spotify is the top one I would highly recommended due to its powerful features and advantages. Streaming music has changed the way people enjoy music. If you'd prefer the old ways to enjoy music offline by downloading files or burning CDs, now it is time to check this tutorial. DRmare software supports to extract the music online directly from the URL, you can copy the link of the songs and then press "+" button on the DRmare software. Alternatively, you can drag and drop the songs, albums, playlists from Spotify app to DRmare program main screen more easily. You can choose the method you prefer. There is no big difference on the sound quality for all formats if you play them on Samsung smart TV. So just pick up one compatible format MP3, M4A, M4B, AAC, FLAC, WAV you like. Personally I'd recommend MP3. Of course, if you are an advanced user, you can also change the channel, sample rate, bit rate according to your requirements. 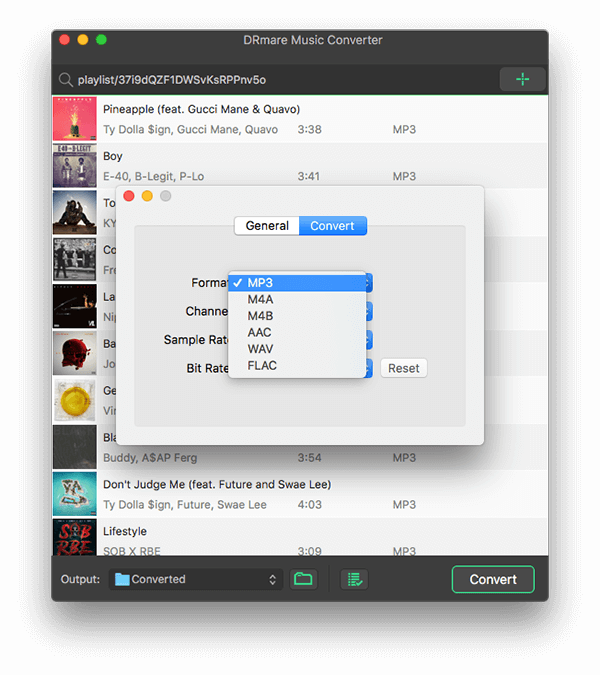 If everything is set as you expected, you can choose the output folder and click "Convert" button, all the playlists you import will be downloaded in batch. DRmare support to download 100 songs at a time. 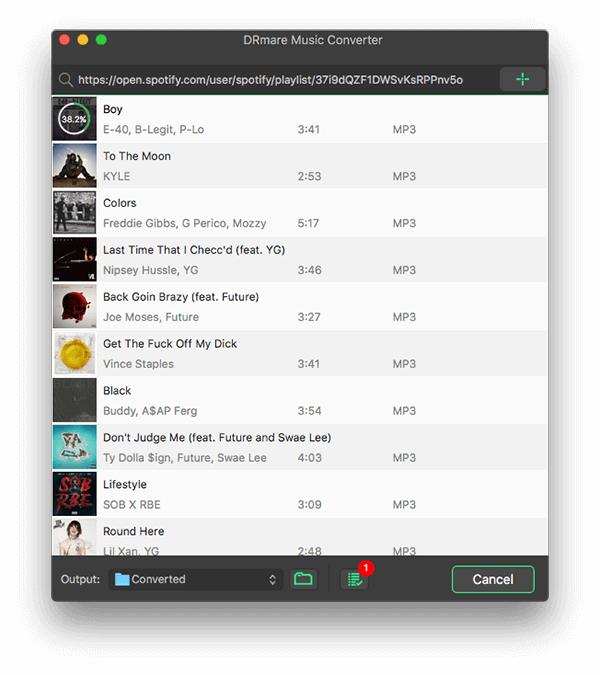 If you have a lot of songs to download, the software will save you a lot of time. Now you can copy the converted Spotify MP3 songs to your USB flash drive and then insert it into your Samsung smart TV. To play the songs, just run a media player and browse the MP3 files from your USB. You don't need to use any other app or worry Spotify app doesn't work any more. Besides, you can also play Spotify via CD. Please feel free to let's know if you have any other questions.